Depending on where in the country you live, it may be time for you to start thinking about putting up your outdoor power equipment for the winter. If you plan to "mothball" a 2–cycle tool for a long period – say over 30 days or more – a few easy steps will help your equipment be ready for action when you start it back up. To get the equipment ready for storage, clean it first. The air filter and the cylinder fins can be cleaned by gently brushing them with an old toothbrush. On your chain saw, remove the sprocket cover and brush away all the wood chips and sawdust. On a trimmer, clean the inside of the deflector to remove built-up grass. Remove the cutting line head on your trimmer, disassemble it and clean out all the debris (see your Instruction Manual). On an edger, clean out any dirt that has accumulated in the cutting guard. On your hedge trimmer, clean the cutting blades and spray them with a lubricant like STIHL Penetrating Oil. Remove and examine the spark plug for excessive carbon buildup and adjust the electrode gap to its specification. See your instruction manual for specifics. You may want to replace the plug once a year and take this opportunity to do so. Carefully reinstall the spark plug, making sure not to cross thread it or tighten too tightly, damaging the threads or breaking the plug. Carefully reconnect the ignition lead. plugs authorized by STIHL and available at your STIHL dealer. with a screw or clip. Carbon can build up on the screen. The screen must be cleaned or replaced with a new one. Empty the fuel tank. Standard pump gasoline quickly deteriorates and should not be kept over 30 days in any season. If the fuel contains ethanol this becomes even more critical because of the damage that can be done to your equipment. Learn more about gasoline guidelines for STIHL equipment on our website. If you need to dispose of fuel mix, please do so in a proper and responsible manner. Small quantities (a quart or so) of STIHL 50:1 fuel mix can be used up in any gasoline engine without a catalytic converter, like a lawnmower, ATV or motorcycle. Remember that all STIHL products use the same 50:1 fuel mix, so the fuel you used for your trimmer will work in your blower or chain saw, while your trimmer is in storage. 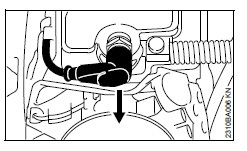 After the tank is empty, if it has a primer bulb, pump the bulb until dry, then replace the cap and start the engine – otherwise, just start the engine. Run it at idle until the engine stops. It is important that the engine is run only at idle speed, so there will be lubrication in the system. Do not operate the throttle or "rev" the engine. Just let it idle until it stops. On a chain saw, engage the chain brake. If you have been using fuel with ethanol in it, you may wish to put a small quantity of STIHL MotoMix® Premixed Fuel in the tank and repeat. This will ensure that all ethanol fuel has been removed from the engine and fuel lines. It is important that you not use the fuel you bought in the fall for next spring. Start each season with a fresh batch of 50:1 2–cycle fuel mix. 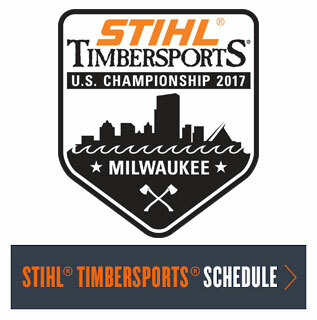 STIHL recommends STIHL engine oils or STIHL MotoMix® for use in STIHL products. Being the Best with the Best.